provided the opportunity to visit the Salvo's shop in Weston and Phillip. 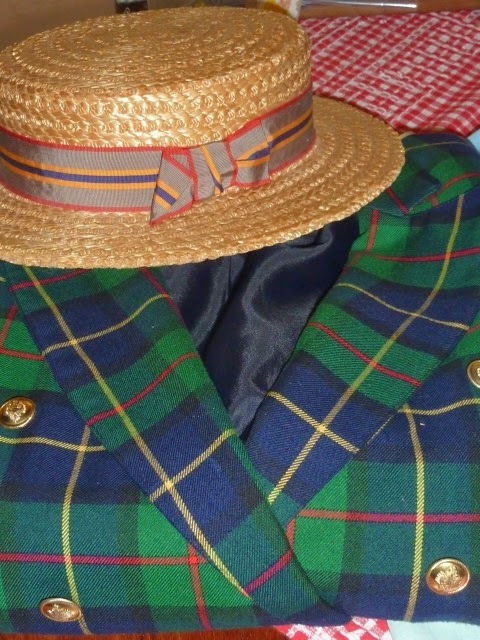 Sodafloss purchased a Carolyn Taylor double breasted tartan jacket, and an old schools straw boater from Onley Headwear in the UK. Some $2 CDs and a DVD, and some more patterns for the stash. Thanks to the I-op Facebook group, we also picked up a Wacky Racers curtain, that will be made into clothing. Unfortunately it had already been put in the soaking bucket before I got to take a photo. is anyone interested in a Facebook I Op therefore .. group?